No matter who you are or where you live there are many ways you can celebrate the arts this October. This is the largest annual celebration for the arts and humanities in the nation. 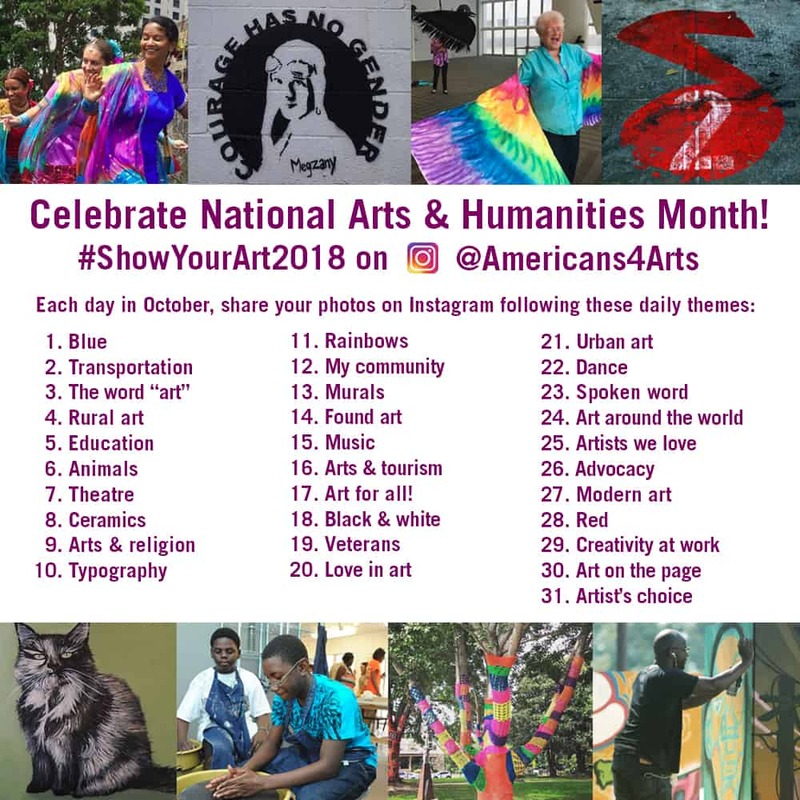 #ShowYourArt2018 on Instagram @Americans4Arts – The daily themes are in the image at right. Visit one of many arts, culture and heritage-related events happening in Polk County during National Arts & Humanities month. Choose one, two, or three events or exhibits, or even more. Below is a compilation of some of the arts, culture and heritage related activities and programming during October in Polk County. Use the icons above the document to share it, download it as a pdf, or to print it.